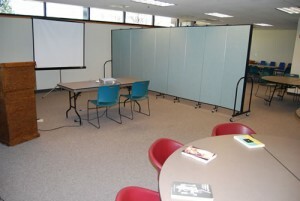 Screenflex Room Dividers ~ Myriad of uses for room dividers in the church ~ What’s Yours? 1) To create Sunday School classrooms. 2) Divide any open room into smaller rooms daily for the child care ministry What better way to meet families’ needs in your community than inviting children and families into a church-sponsored daycare? 3) Set up various size rooms for other uses / groups as needed. If churches want to minister to families, this should be the entire congregation’s goal. Church leaders should think about a room’s functionality. How can it help build ministries? What is the cost of maintaining a room/structure for many purposes? So if you want your facility to do more for you and your congregation, consider one of the many uses for room dividers in the church. the more versatile the better!